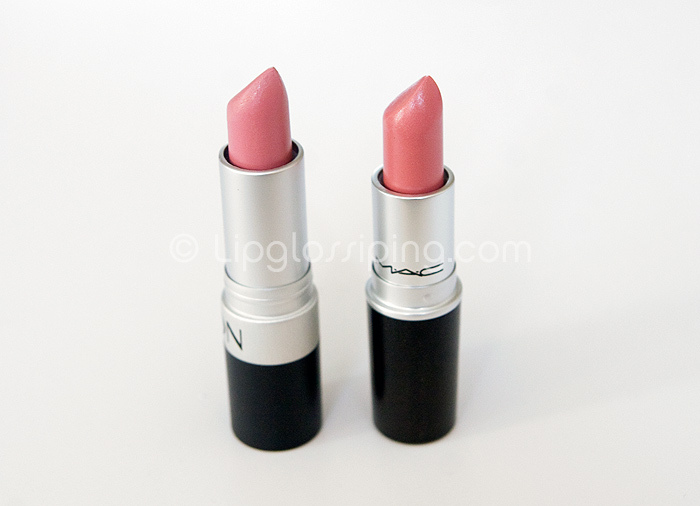 MAC Angel Lipstick / Revlon Pink Pout Matte Lipstick – Dupes? I was eavesdropping on Twitter (as you do) and overheardread VexintheCity tell Cosmetic-Candy that Revlon Pink Pout was a reasonable dupe for MAC Angel. I’m serving up my humble pie at this point…. They are simillar aren’t they? Woah there Nelly! Pink Pout is… well… pink. MAC Angel is distinctly beige-toned on my lips. I read somewhere that a matte lipstick underneath a bold color will help the bold color to stay (this was apparently a Gwen Stefani trick :D)… so I might just pick up Pink Pout for this. I can contribute one other major difference between these two! It might just be because I have a weird skin chemistry, but for some reason, Revlon (and CoverGirl, but that’s nothing to do with this…) lipsticks change colour on me throughout the day. On me, Pink Pout starts off really pretty and sort of mod looking, but by the end of the day, it’s practically hot pink! 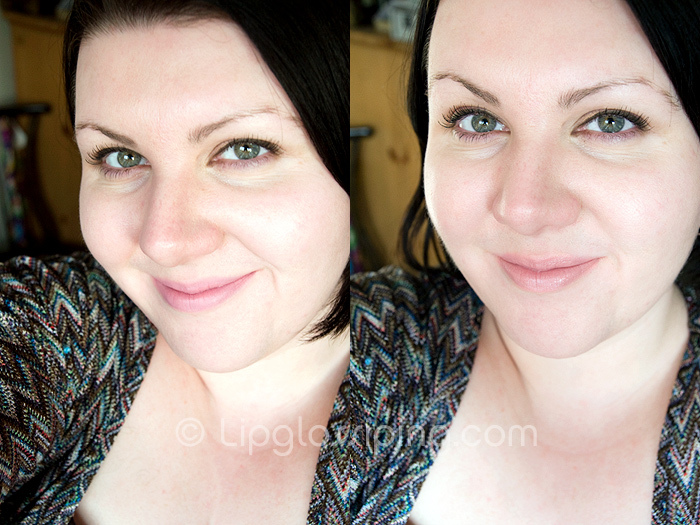 Angel, on the other hand, stays true to its colour all day, no matter how many times I have to reapply. Also, I seem to be the only person in the world on whom Angel wears as a deep pink… I wish it looked paler on me, the way it does on you. Oh, quite a difference isn’t there! 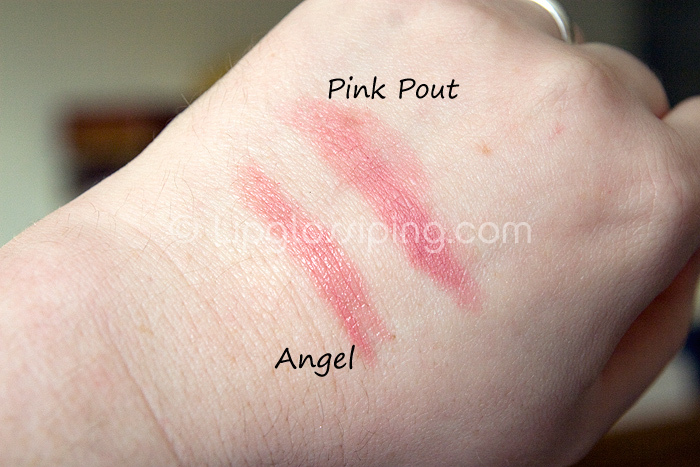 I think pink pout looks better on your skintone, but angel would look better on me (although i’d like a mix of the 2, if there is one out there!). I’ve heard a lot of hype about MAC’s Brave lipstick, is that similar? Great post! Both are good product but I only prefer the Revlon. Its shades have no comparison with others. I think that the Maybelline moisture lipstick in Born with it is kinda close.